Especially designed for use on medium duty conversion trucks. Biggest in the RV Market Today! Actuating handle is more easily accessible than most 5th Wheels, making hook-up quicker and more convenient. Base rails not used with this model. From Electrical Connectors to Lube Plates, Reese Supplies Everything Needed To Improve Your Towing Experience. These kits plug into the factory vehicle wiring harness at the back of the truck and reach 7' into the truck bed to the fifth wheel wiring. 9 ft. lead reaches almost anywhere. Protects Fifth Wheel Plate from the Wear of Normal Towing. 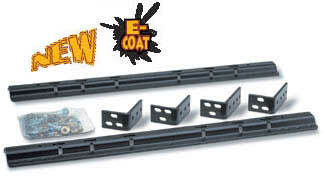 Prevents the Theft of Fifth Wheel and Unwanted Removal of Pull Pins. 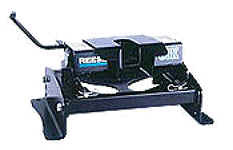 Fits Reese Fifth Wheel Rails and most popular brands. Provides secure attachment for trailer safety chains.